SS Double Prong Coastal Skewers | Patio and Hearth Co. 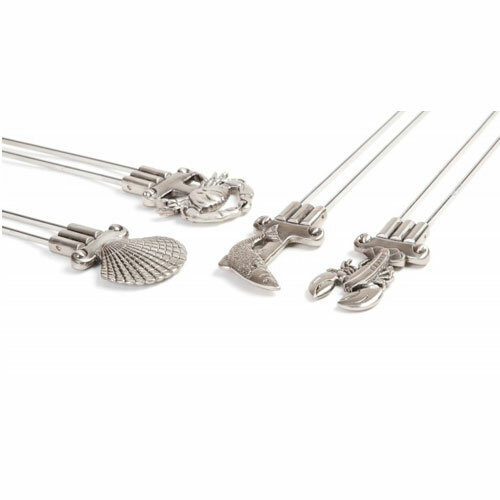 These finely detailed skewers feature coastal icons including crab, lobster, scallop and fish. Each skewer features dual prongs to prevent food from spinning while cooking. Set of 4. Inquire about SS Double Prong Coastal Skewers using the form below.